Last January, I posted a link of an electronic whiteboard that teachers can use for classroom presentations. 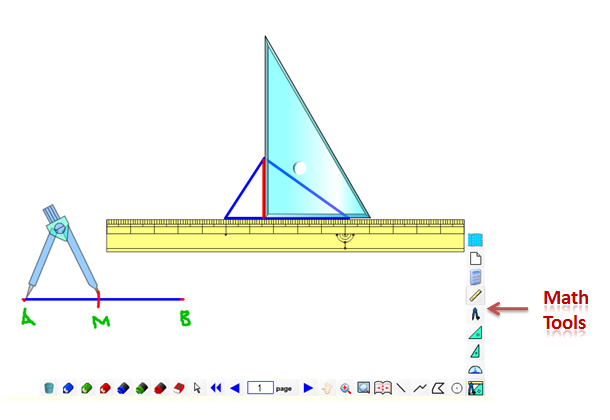 This time, there is a better applet that you can use for presenting as well as teaching mathematics. This applet was created using Dbook, a Japanese software that enables teachers to create intereactive electronic books. I will post a separate article later about it. This applet has the usual pens and eraser tools. What is more interesting is that it has also mathematical tools such as ruler, compass and straightedge, protractor, and triangles. You can also draw point, line and circle tool. Unfortunately, I can’t find a way to upload it in a free server, since it contains an executable file (most servers won’t allow it), but you can download it here and use it offline. Dbook is a Flash-based program, so you will need a Flash Player. 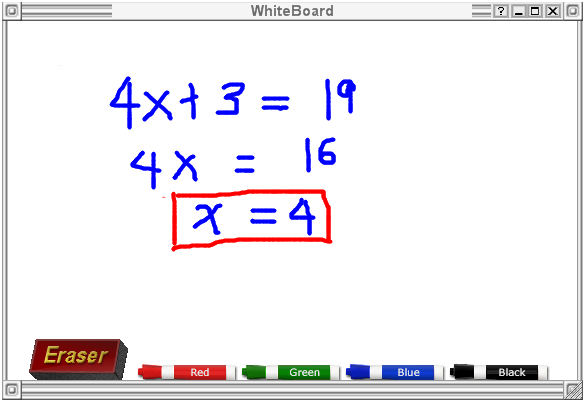 Update: If you cannot download the white board applet in the link above, click here to download it from another location.